Contractors | BSRIA Blog - Opinions and insights from BSRIA Limited. Hi all and Happy NewYear! You’ll be pleased to know that both CIBSE and BSRIA work together for the better of BIM, and that members of CIBSE’s BIM group cross reference with, and in some cases appear on BSRIA’s BIM group also. Who says BIM doesn’t improve collaboration?!! 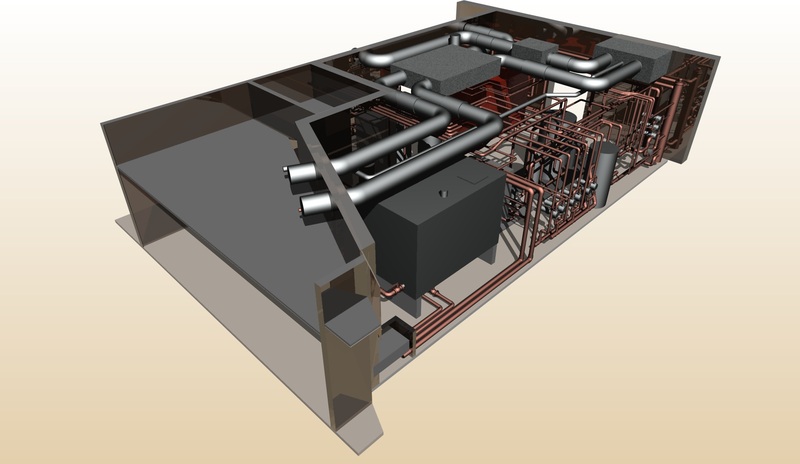 The BSRIA and CIBSE groups are careful not to duplicate effort – CIBSE’s group is concentrating on defining the information parameters to be embedded or attached to building services BIM objects at different levels of development, while the BSRIA group is concentrating on setting out the characteristics of BIM models at different project stages and developing exemplar illustrations of what different stages of a BIM model should look like. Both of these initiatives will provide valuable assistance to the building services sector, including design consultants, contractors, specialists and equipment manufacturers. You will hopefully have seen in January’s CIBSE Journal, an excellent article by Tim Dwyer on the state of the nation of BIM in Building Services terms. If you haven’t already I recommend you take a look. As part of that article, probably the most important Building Services BIM survey yet has been launched and I urge you all to complete the survey yourselves and pass it onto your colleagues. The results of this survey will directly affect how CIBSE (and others) look at BIM from your point of view, and will help to shape the plans in the coming years, so it’s essential that the Building Services community take this seriously and as many as possible take part. In particular the survey will help identify the most popular mechanisms for improving the skills and capability of our sector, as well as gauge the level of expertise already achieved. You can take the survey here: http://goo.gl/W5lb8 and it should take less than five minutes. One thing, some corporate IT networks will not allow you to access this – so try it from home if you have trouble. Finally, both CIBSE and BSRIA are participating in the BIMForum that has been established by the Construction Industry Council to bring together points of view from across the construction sector, including contractors and facilities managers. The current focus of this Forum is the definition of an industry-wide set of data exchange points that will formalise the BIM relationship between client and supply chain, and which is very closely linked to the ongoing development of BSRIA’s Design Framework document (BG6/2009).